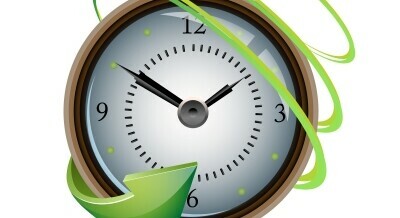 It’s time again to change the clocks – and suffer a week or more of family discombobulation. “There’s got to be a better way,” we all think, as the early-waking child seems to wake even earlier; or the cranky-before-dinner child seems to spend even more time in that unpleasant state. There are ways to make it all go a little smoother. Change the clock on your own terms. Don’t wait until 2 a.m. Sunday. That barely works for grown-ups; it’s a lousy trick on a kid’s body clock. Change as early in the weekend as you can. This gives you time to reinforce the new timing of things before anyone has to show up to school or work on Monday. 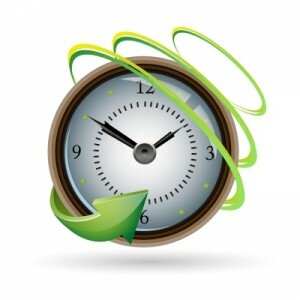 We highly recommend changing the clock as early as Friday night, so you can wake up on Saturday with the “new” time. This is a great life lesson. Kids need to know how to follow society’s rules (the clock must change) while being true to themselves (we change it this weekend, when it works best for our family). Adjust all meal times to the new clock. Kids like routine; they rely on it. So pace the whole routine as normal; if dinner is usually at 6 , then continue to have it at 6 – even though it may feel like it’s coming earlier or later than usual. The children will adjust. If they react poorly to it on Saturday, you still have Sunday to get things settled before the school/work week begins. Remember that a child’s wake-up time predicts his or her nap and bed times. If you have a child who is sensitive to change, he or she may have trouble going to sleep at their “regular” time when the clock has just moved. To the internal body clock, it feels like an hour early or late, depending on the time of year and the direction of the time change. Reinforce weekday wake-up, nap, and bed times to help your child adjust. Be prepared for being a little off-kilter the first few days; naps may be shorter or harder to achieve altogether, but they will come back. Acknowledge that the weekend feels a little funny, but don’t go into long explanations. Young children take our words literally. They will wonder why you got a different clock, or will argue that the clock hasn’t been “changed” at all. The concept of time being adjustable may become confusing or distracting. Don’t bog the kids down with this. Your goal is to have a fun family weekend where the new times just blend into your life. Make lemonade out of lemons. If you are concerned that your young child will have a bumpy adjustment, this is a great weekend to take the big outing you’ve been avoiding because it will mess up the nap schedule. Sometimes the curveballs of life can actually help. A big outing throws your child’s body clock off, in which case he or she will gladly embrace the post-outing routine that you offer (with the new & improved clock time). Get up and out with a planned outing early Saturday or, better still, Sunday. Then your little one will be more likely to fall asleep at a decent time come Sunday night. And so will you.